Your energy should be used to play the game, not build the court. It was 1974 when Sport CourtTM pioneered the backyard court. Fast forward to present time and you’ll see that over the course of 40 years, Sport CourtTM has installed over 50,000 courts worldwide for over 50 NBA coaches and players. 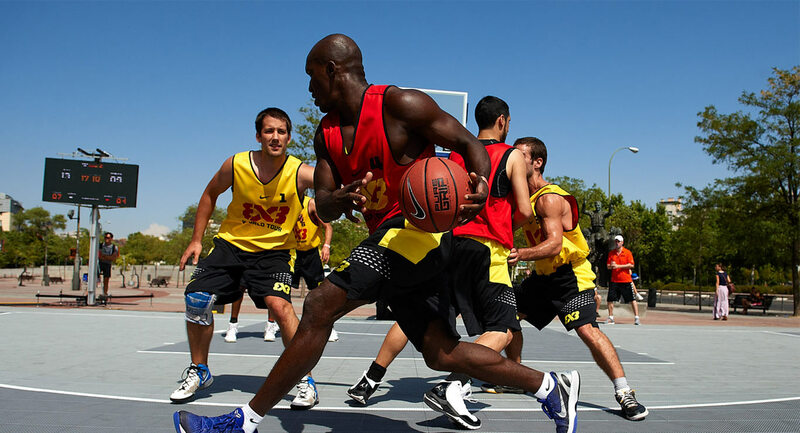 Big names like Shaquille O’Neal and Larry Brown have also designed their courts with us. Hometown service is what has made Sport CourtTM the largest court builder in the world. We want to make sure your indoor and outdoor courts get done right, which is why Sport CourtTM of the Ozarks is committed to never let our guard down. We do our best to be the leader in installation and servicing when it comes to modular sports flooring. That’s who we are and the character we want to build. Sport CourtTM of the Ozarks Is Dedicated to Making Your Court and Experience the Best Possible. Building courts and motivating champions has been our thing for over a decade. We don’t plan on stopping anytime soon. Let our custom design experts design your court for your sports need. We will even use your own color palette. We commit to product coordination and customer service from court design to installation and maintenance. Professional grade materials and construction processes are what we use when building your court. Surfaces and components come with a 15-year warranty. Our products are independently tested for quality and performance.